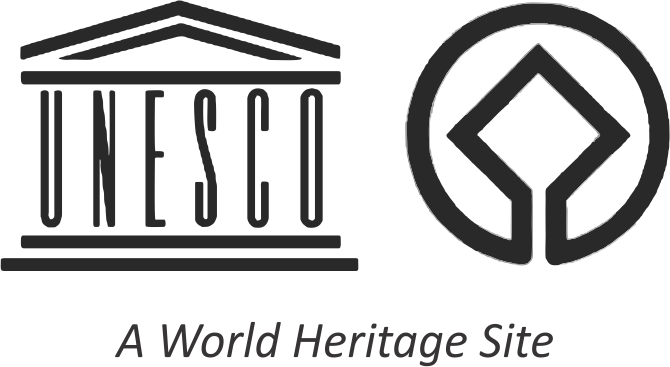 The invertebrates have been recognized as providers of “ecosystem services.” They play an important role in maintaining various life processes and are a vital component of GHNP food chains. 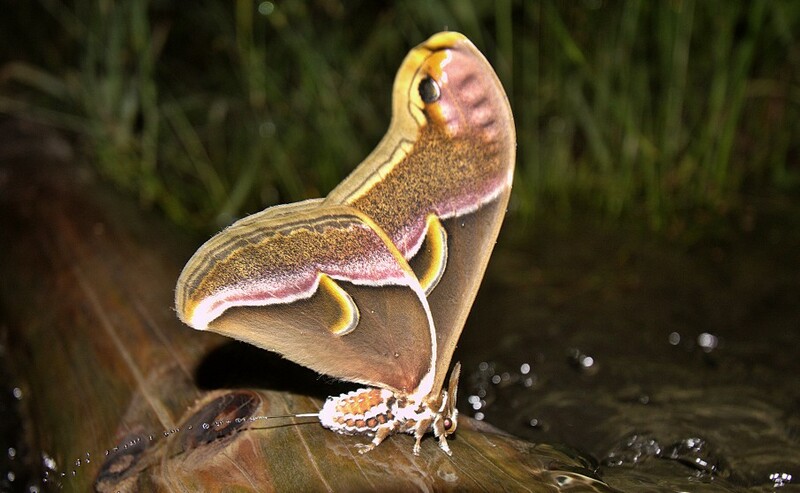 Other than flying insects, most of the invertebrates have limited powers of dispersal, and are very sensitive to disturbances in their habitats. They can be used as indicators of a healthy ecosystem. Among invertebrates, earthworms, leeches and mollusks have been studied in the Park. During a recent study, 11 species of earthworm were recorded out of which two are restricted to the park. The leech diversity of the Park is confined to three species only (two aquatic and one terrestrial). Researchers have identified 14 species of mollusks, the majority of them being terrestrial. Three species of slugs have also been reported from the Park. 1. Vegetation feeders: mainly beetles and plant bugs (many families of these orders feed and depend on plant life). 2. Pollinators: flies, butterflies, moths and bees: (majority of pollinators belongs to these orders). 3. 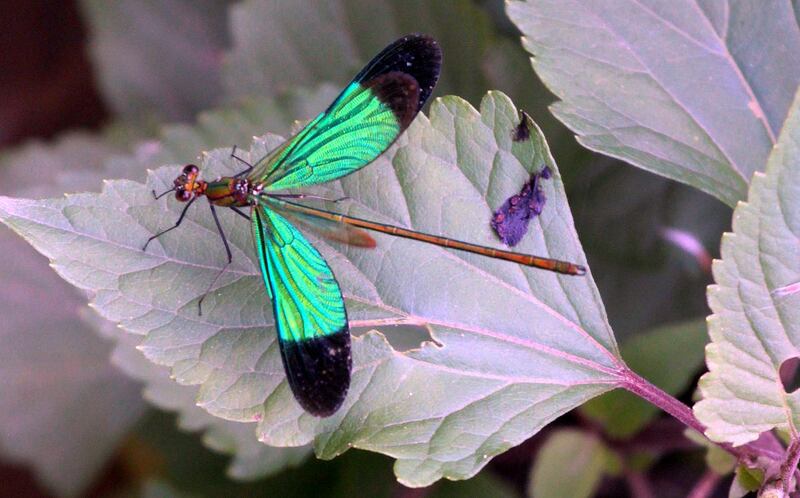 Biodiversity indicators: Tiger beetle, ground beetle and dragonflies (also for land use change). 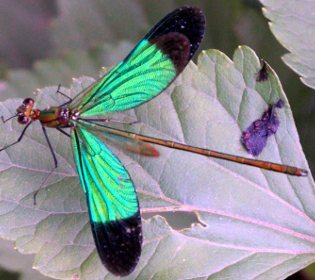 Only six insect orders (e.g., beetles, wasps, flies, plant bugs, dragonflies, and butterflies) have been studied in the Park. The selected six orders represented 37 families, 108 genera, and 125 species among the specimens identified so far. Insect research has established ecological relationships between flowering plants of sub-alpine and alpine areas, with their corresponding insect visitors. 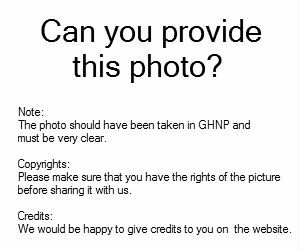 Can you provide this photo? Occur in many shape and colors. Some are minute or medium-sized, hard, elongate, slightly flat, black, gray, brown, sometimes brilliant metallic. The larvae known as wireworm, are long, cylindrical and slightly flattened. The larvae of many species live in dead wood or under bark of the tree. Five kinds of click-beetles have been recorded between 1,500 to 2,500 m elevation. Usually black or brown. 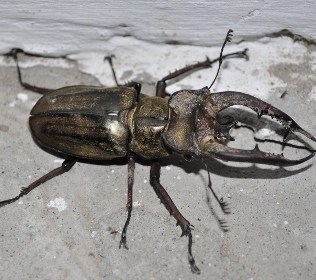 Mandibles of males are enormously enlarged and antler like, hence the name Stag-beetle. The larvae breed in wet, decaying wood. 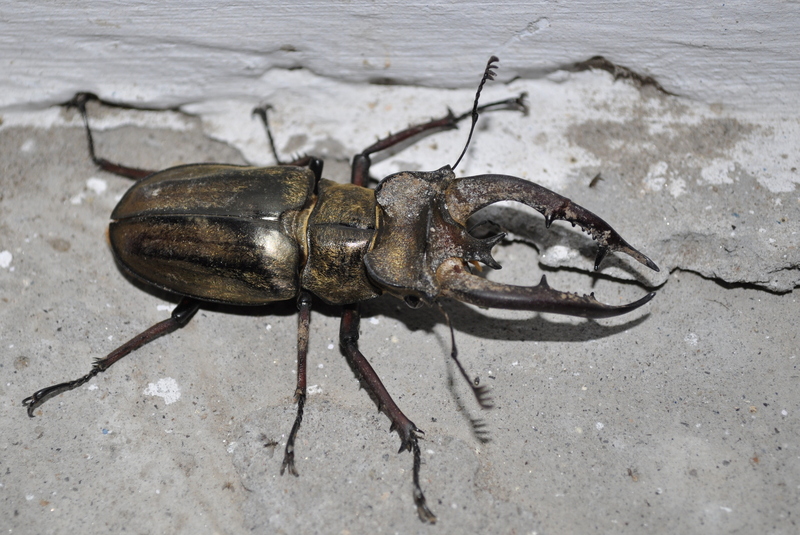 Three kinds of stag beetles recorded between the elevation from 1,500 to 2,500m. Mostly feed on dung of various large herbivore which rolled into convenient-sized ball, then buried in underground chambers and fed at leisure. Maximum representation of species was recorded in this family. Eleven types of dung beetles were seen up to 2,500m elevation in GHNP. Minute or small, circular or oval, hemispherical with black, yellow, brown, red, and often spotted. This is a large family with 3,000 species recorded all over the world, it is widely distributed and occurring nearly all year round. During GHNP study, six types of Ladybird-beetles were identified. One species was collected during May over the snow surface at 4,000m altitude. Medium-sized, and soft-bodied; mostly black, brown or some times bright metallic-blue or green. The adults feed on flowers. Found between 1,500 to 2,500m elevations, mainly on the flowers of Impatiens. Black, brown, yellowish, reddish or metallic-blue color, largely ground living forms, found under stones, bark, in moss, rotten wood. Indicators of water bodies because the eggs are dropped into water or on attached to submerged objects in long gelatinous string. Recorded up to 2,500m. Loudest singers of the forest; they lay eggs into crevices of bark and incubate for about six weeks. Only one Cicada sp. was recorded from 2,000m elevation in GHNP. Pollinators collecting honey from forest trees. Source of income for local communities living close to the GHNP. Three kinds of indigenous bees, two kinds of wasps identified between the elevation of 1,500 to 3,500m. The flowering plants visited by bees and wasps are aconites, Potentillas, Larkspurs, Anemones, Himalayan Blue Poppy, Asters, Salvia, and many others. 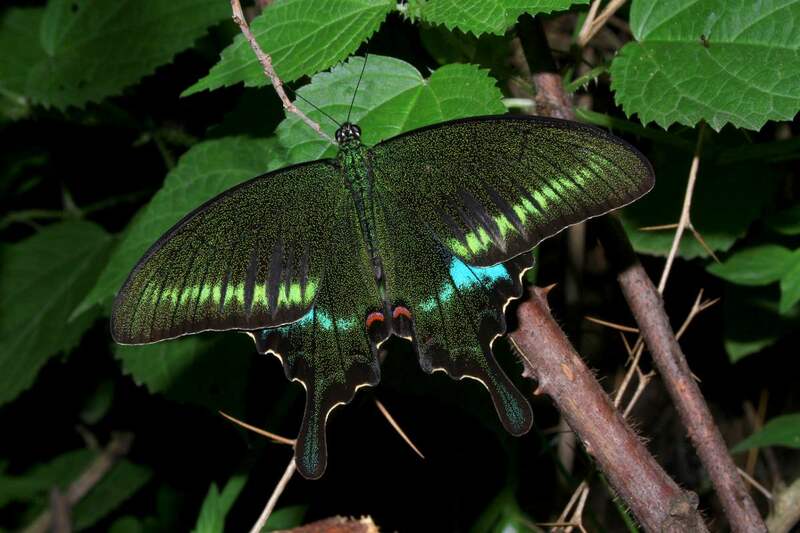 In GHNP 44 kinds of butterflies have been recorded. 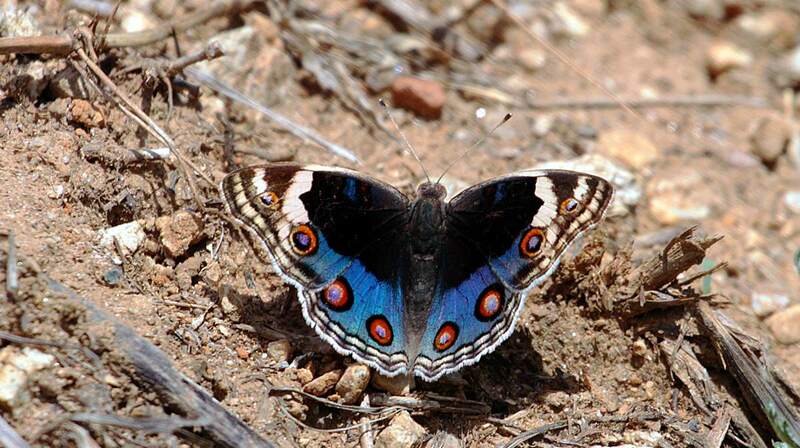 Common blue Apollo resident of alpine areas at about 4,000m elevation in the Tirthan and Sainj valleys of GHNP. 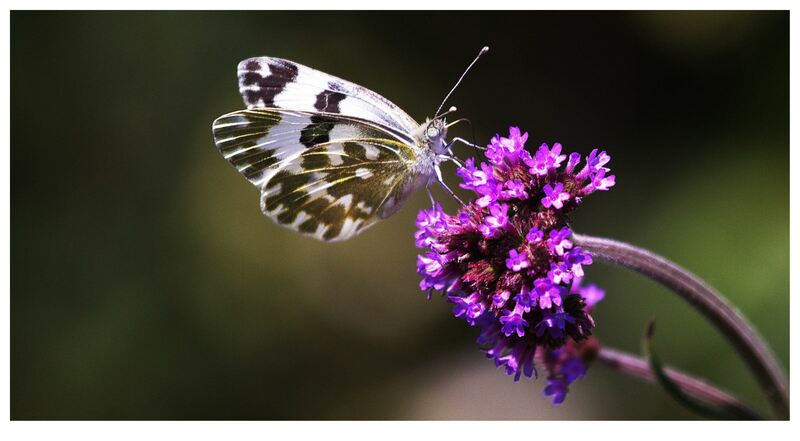 Some of the translucent white endangered butterfly of the same genera were also observed above Saketi at 14,000 feet elevation in the Tirthan valley. Yellow swallowtail, a rare butterfly in this area was recorded at about 4,000m in Tirath area of the Tirthan valley. Cabbage butterfly was common in lower altitude up to 2000m. Dark clouded yellow butterfly, with orange-red and black border found throughout the alpine pasture just after melting of snow, and feed various species of low growing flowers of genus Primula. The Common brimstone, a sulfur colored or greenish yellow butterfly found between the elevation of 1,500 to 2,500 m on the edges of forest openings. Indian Moon Moth: beautiful white with pale or bluish green color. Hind wings have long yellow color tail. 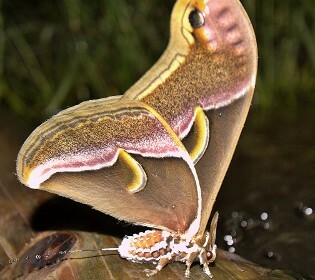 Sexes are similar but males have more strong feathered antennae and heavy furry body than female. 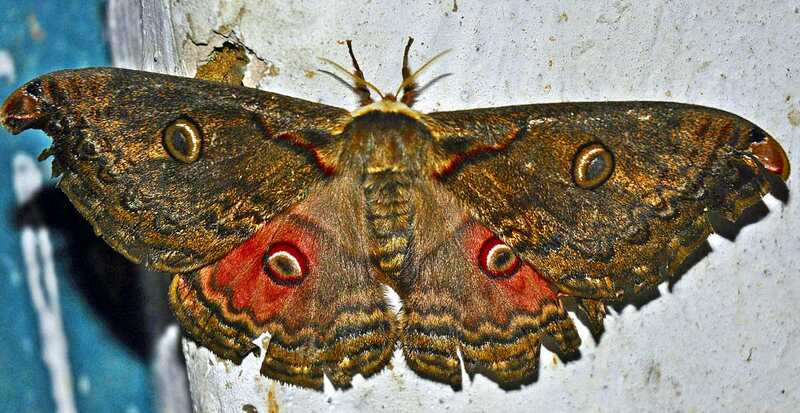 Eyespots and pink crescent shaped marking on hind wing tail are the main characteristics. Ground color moth, with variations from brown to olive green or orange brown. A brown pale band traverses both the wings. 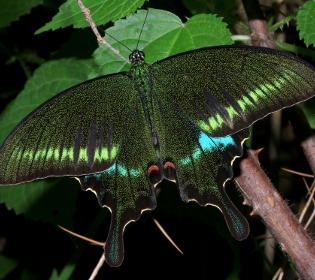 A narrow crescent shaped patch is there in the center of both wings. 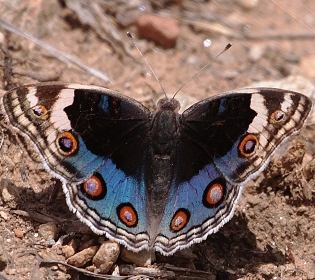 Antennae of male are strongly feathered. 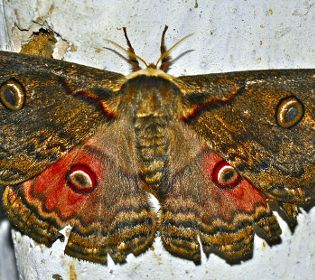 Red, black, and brown ringed eyespots on all wings. The wings are brown with light and dark bands, and the edge of the fore wings are suffused with silvery white. Triangular forewings with large, pale brown patches towards the base. Female much larger than male. Recorded between 1,500 to 2,000 m.
Small with hairy appearance, caused by its long, coarse wing fringes. The fore wings are blackish brown, sprinkled with white scales, while the hind wings are orange colored. Found between 1,500 and 2,000m elevations. Pale yellow, often mistaken for a butterfly. A small tail-like extension on the hind wing with reddish brown spot at base of hind wing tail are quite distinct. Abundantly recorded between 1,500 to 2,000m. Very distinctive streamlined wing shapes and robust bodies. Extremely powerful fliers, some even reaching speed of up to 50 km per hour. A total 14 species of Annelida (11 earthworms and 3 leeches) have been recorded. Earthworms are known to be sensitive to change in native vegetation and land use practices and are very reliable bio-indicators for long term monitoring of disturbance and fragmentation of native ecosystems. The local communities have started vermicomposting as a major alternative income generation activity. This may enhance their crop production and reduce their dependencies upon the Park resources. As many as 14 species of both freshwater and terrestrial Mollusca found in GHNP and adjoining ecozone. Their favorite habitats are under large stones, logs, decaying leaves, on wet rocks, tree trunks. They are characterized by low mobility, small populations, patchy and isolated distributions. They get threatened by habitat alterations. Absence of land mollusks may be a good indicator of large scale disturbance of natural vegetation in the area.